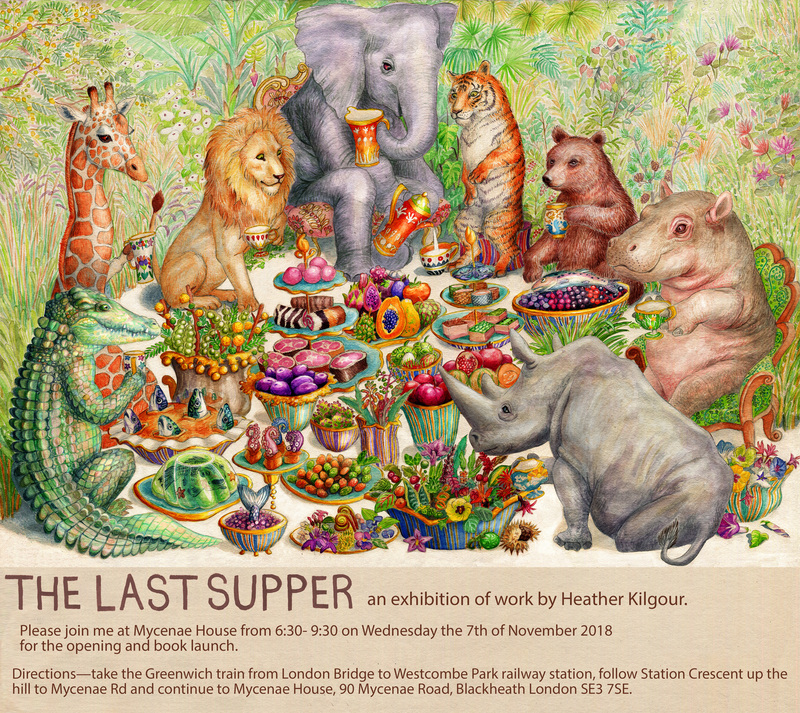 We’re very excited to be holding this Autumn’s SCBWI social at the exhibition opening and book launch of SCBWI illustrator Heather Kilgour. 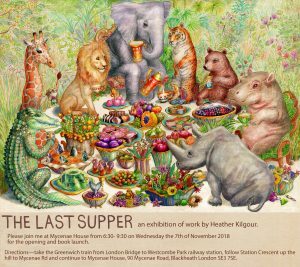 The Last Supper is Heather’s exhibition of work, and she will also be launching her book 10 Step Drawing Animals published by Quarto. Do come along and meet other writers and illustrators and catch up with what’s happening in the children’s publishing world. A SCBWI social is the perfect way for new members of SCBWI to meet possible critique partners. The exhibition opening and book launch will be at Mycenae House, 6:30- 9:30 pm on Wednesday 7th November 2018. Directions—take the Greenwich train from London Bridge to Westcombe Park railway station, follow Station Crescent up the hill to Mycenae Rd and continue to Mycenae House, 90 Mycenae Road, Blackheath London SE3 7SE. Please book your free place below or answer on the Facebook invite so we can have an idea of numbers. This image is the scene of the final dinner for a group of our last remaining megafauna. 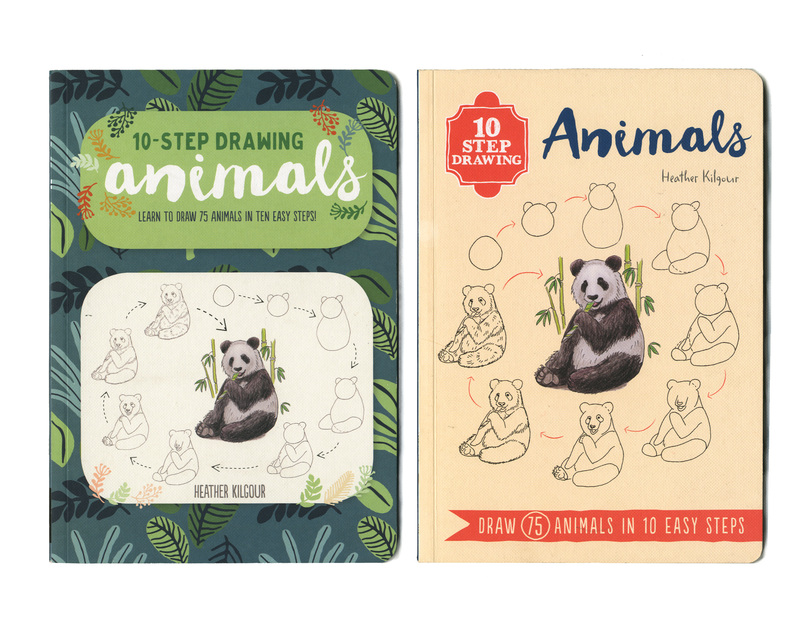 Each animal has its favourite food, the crocodile has fish, the giraffe has acacia leaves and seeds, the lion has wildebeest steak, zebra and antelope rolls, the elephant has fruit, the tiger has meat rolls and crab, the bear has berries and fish, the hippopotamus has grass, the rhinoceros has flowers and plants. The plants in the background are native to the habitats of the different animals. Heather Kilgour studied fine art in New Zealand, before becoming a sculptor on the Lord of the Rings films. 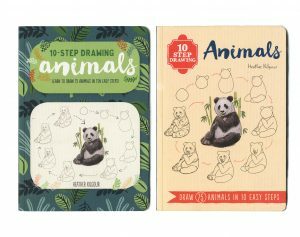 She moved from Wellington to London in 2007 and there she joined the Society of Children’s Book Writers and Illustrators and completed an MA in children’s book illustration.